D4 Surgicals of India. 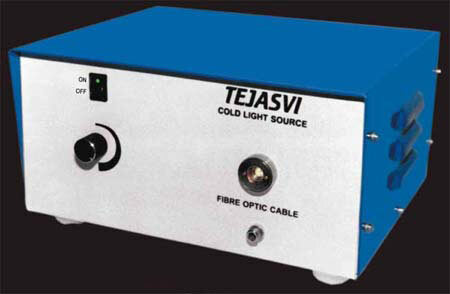 is a Manufacturer and Exporter of Cold Light Source. These Cold Light Source are preferred by the Medical Community as they are half the size and weight of a conventional Cold Light Source. D4 Surgicals of India. provides Cold Light Source to suit the requirements of each and every medical profession. These Cold Light Source are used in most of the Indian hospitals and Dispensaries. D4 Surgicals has also earned a good reputation from the international community as one of the best quality Cold Light Source Manufacturer from India. While Manufacturing these Cold Light Source best quality standards are followed. S.M.P.S. based design ensures smooth working of light source within the voltage variation of 180 -270 vac. Half the weight & size of the conventional light sources.